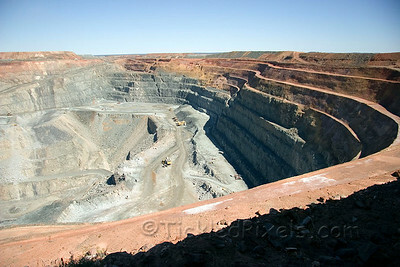 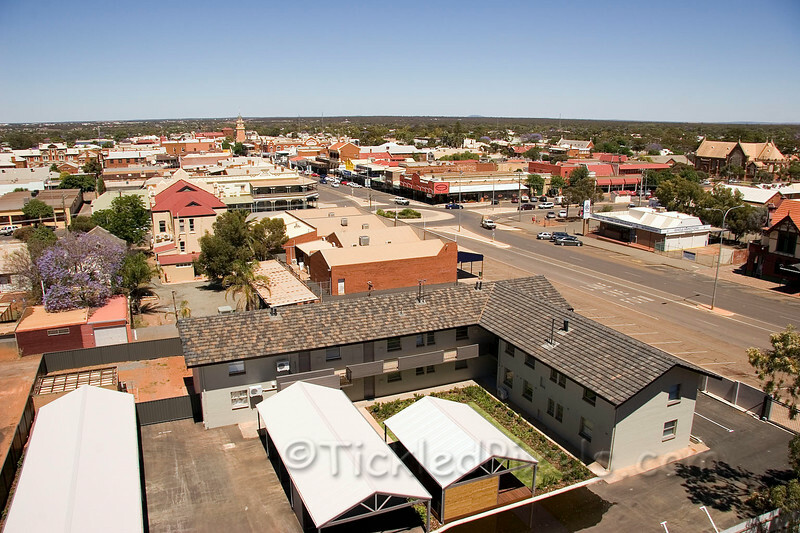 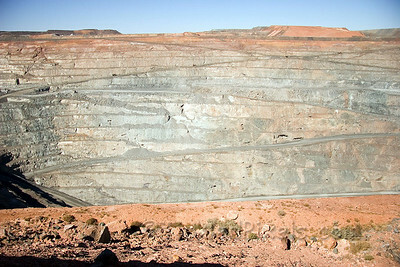 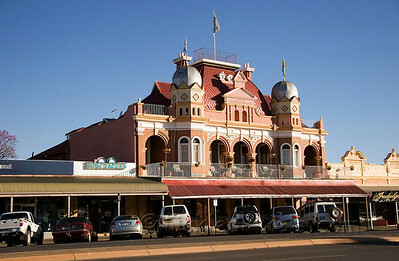 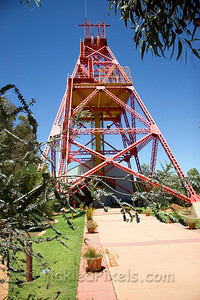 Kalgoorlie, situated 595 kilometres NE of Perth, is central in the Western Australian Goldfields and the largest city in the Australian Outback. 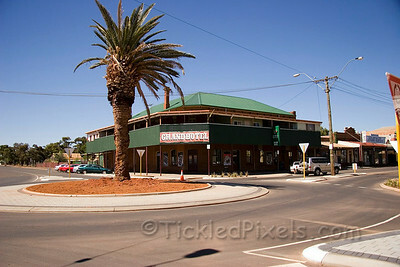 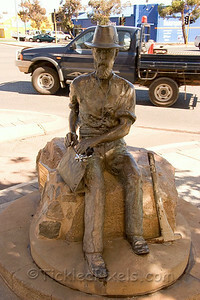 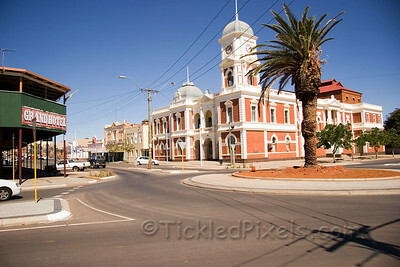 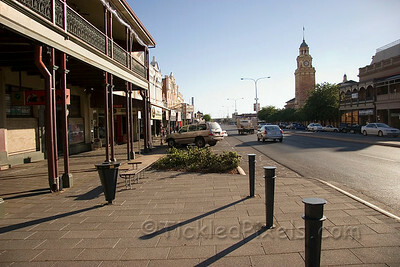 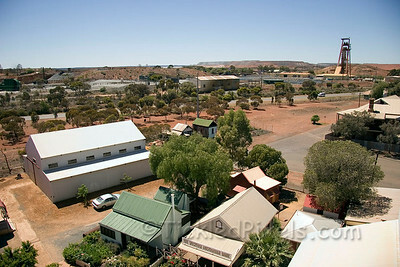 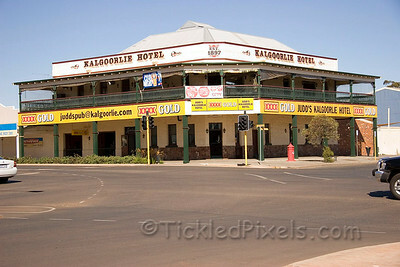 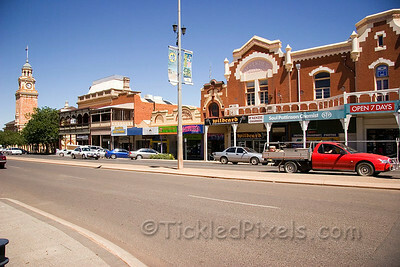 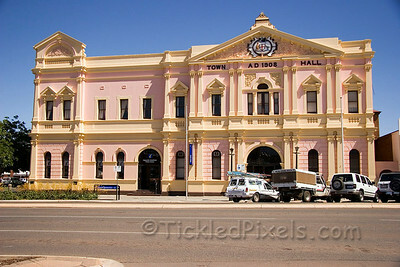 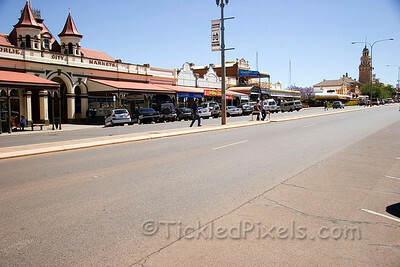 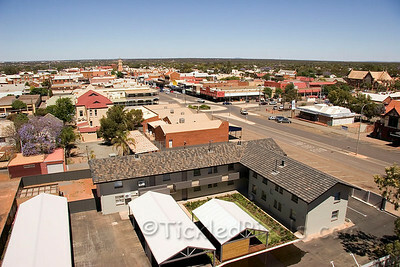 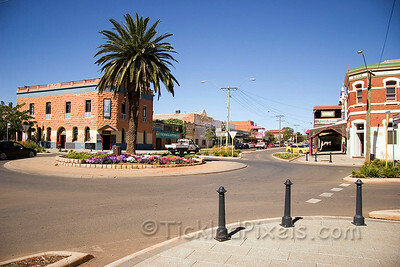 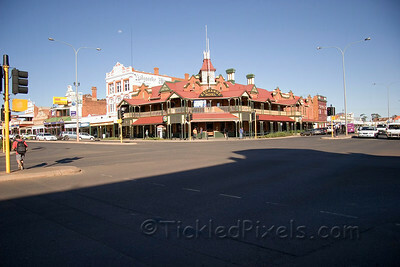 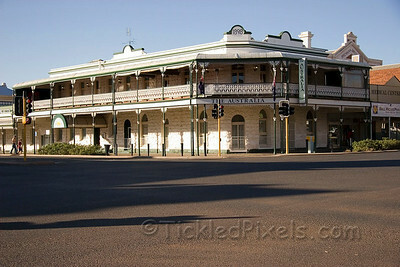 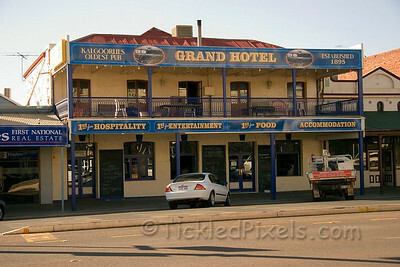 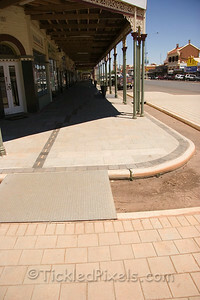 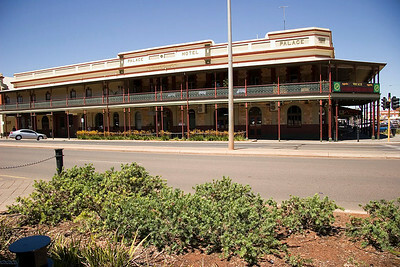 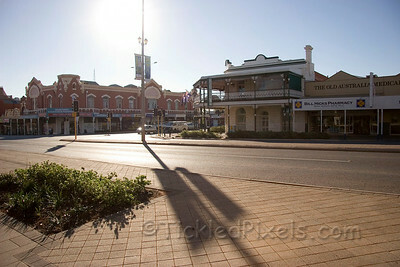 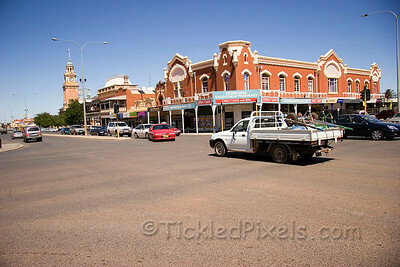 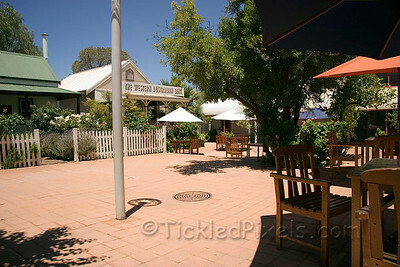 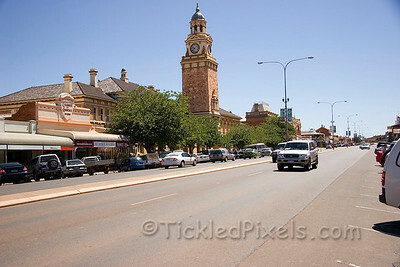 To visit Kalgoorlie is to step back in time...but with all the modern amenities. 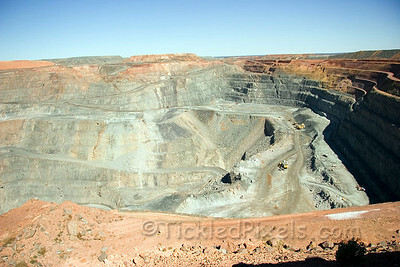 Super Pit...old mine drifts evident on rock face. 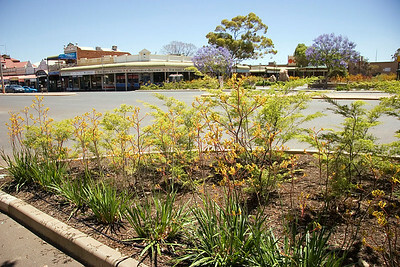 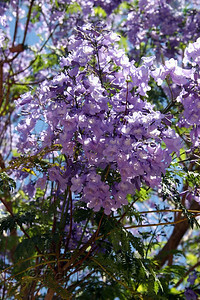 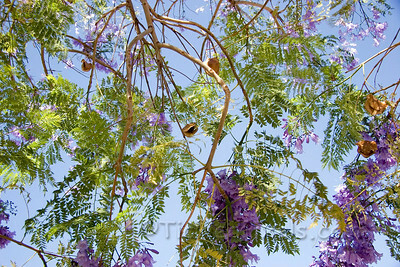 The yellow flowers in the foreground are Kangaroo Paws; the blue flowered trees are Jacaranda.